This year, Farm Aid has adopted a strict policy on reselling Farm Aid 2018 tickets purchased directly in a Farm Aid pre-sale or obtained from an artist’s fan club: they may not be resold. Farm Aid has reserved the right to void any tickets found to be in violation of this policy without issuing a refund, and holders of voided tickets will be denied access to the venue. As a thank you to Farm Aid supporters, Farm Aid holds a ticket presale to provide access to some of the best seats at all ticket levels. It’s not too early to plan ahead for 2019’s concert. Sign up to get information from Farm Aid on next year’s presale. Since 1985, Farm Aid has raised more than $53 million to help family farmers thrive all over the country as well as energizing the good food movement. Farm Aid’s online Farmer Resource Network connects farmer to an extensive network of organizations across the United States that help farmers find resources to access new markets, transition to more sustainable and profitable farming practices, and survive natural disasters. 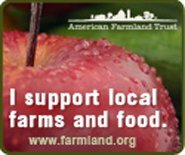 The organization also promotes fair farm policies to defend and bolster family farm-centered agriculture and has worked side-by-side with farmers to protest factory farms and inform farmers and eaters about issues like genetically modified food and growth hormones. About 10 years ago, Farm Aid founded Homegrown.org with the mission to create a place where our love for food and the land evolves, deepens and becomes something more fulfilling. As we have often noted, at the beginning of the 20th century, 50% of the U.S. workforce was in farming, today it’s less than 2%. Next month’s concert in Hartford is, once again, a time to offer praise for the hard-working 2% (which includes an increasing number of small farmers who grow our food with a commitment to a sustainable agriculture that cares for people and community-building, animals, land and water, especially the farmers committed to community supported agriculture, which we promote on this website). Kudos to Farm Aid and Homegrown.org which provide hope for the future of the American family farm, and to the musicians and performers who have donated their time for this year’s Farm Aid concert.